Within the schemes of reconstruction of the cities in the Kurdistan Region, particularly Erbil, Salahaddin University-Erbil held a symposium in which a number of researchers, engineers, and local and overseas university lecturers participated. The event was arranged by the Engineering Department at the University. 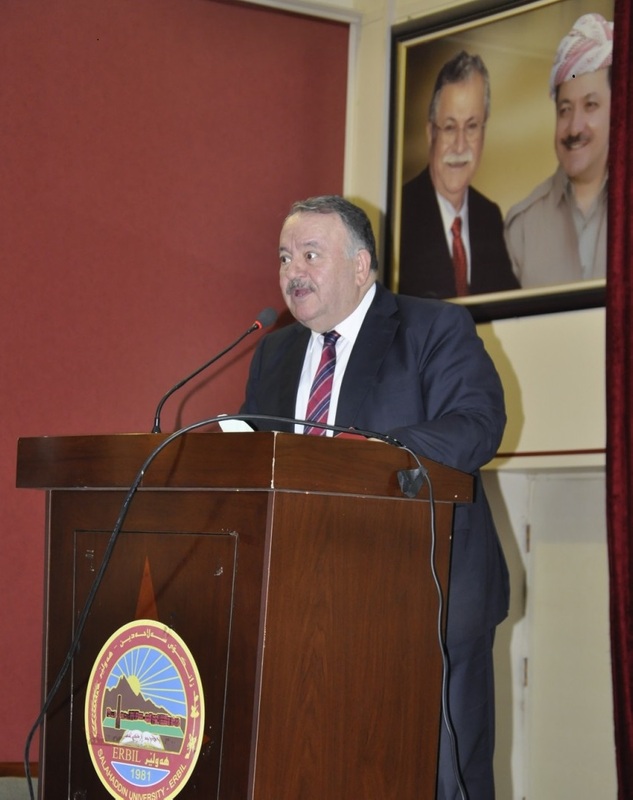 In the beginning, the University president Dr Ahmed Dezaye expressed his delight for Salahaddin University to be at the forefront in higher education – to have taken initiative to highlight the issue of reconstruction in the Kurdistan Region. The University would support the idea for renovation and reconstruction to become an academic subject. Also, the Director of IFPO Dr Michael Morton delivered a speech he valued the event and its outcomes. Later, Dr Mahmoud Khayat elucidated the contents of the symposium. He mentioned that the symposium seeks an international standard in order to know about the best reconstruction scheme for Erbil. For that purpose, many research studies would be conducted about the cities of Istanbul, Kuwait, Dubai, and Beirut and find out how Erbil can benefit from their renovation plans.